Bought the el cheapo Aldi machine last week to replace my poor old Sunbeam and decided it needed a tamping stand. I did a model and was going to 3D print it but it was an 8 hour print and plastic .. so glued some Tassie oak plank together and knocked this up on the lathe and mill. I have a dead ironwood tree in the back paddock, might turn up a wooden tamper next. The hate the metal one I have. mipl, topshot, Yelta and 3 others like this. Good work! Timber and coffee machines go very well together. Nice job Stoney, lovely piece of timber. Here's one I knocked up in 2008, no lathe, drop saw, router and sandpaper, very handy accessory, would be lost without it. Thats impressive just using a router, some deep plunging, 10th birthday and still working, love it. 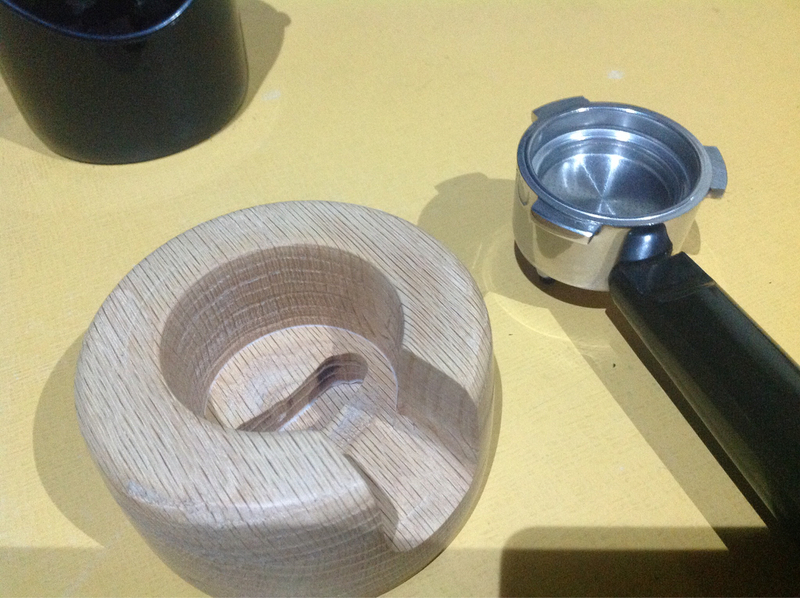 Chopped some wood to make a tamper and its setting in the vice atm, left me with a piece of scrap "oak" (I think tasmanian oak is a gum tree) so knocked up a temporary version to see how well carnauba wax on wood goes, thought maybe the coffee would stick, but no it works fine though its a damn tight fit in the single cup basket, works fine on the dual I used as a tester. But I quite like the flat profile actually. just mash it with the palm. Interested in what you think of the el cheapo Aldi? There is always one there at my local Aldi for $150. Not for myself, but a family member, so I can make an espresso when I visit. Last edited by WarrenK; 21st April 2018 at 07:38 PM. Reason: Always think of something later. It is a damn sight better than my old sunbeam tbh, probably mostly my fault as I chopped the bottom out of the basket with a grinder to depressurise it and could only get 1 good brew in 3 without blowby. 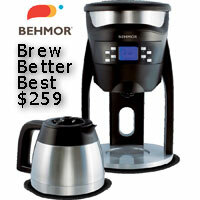 It automatically does like a 2 second pulse, pause, pump when you turn the knob to brew which I like. Then you hit the second button to heat it more ? 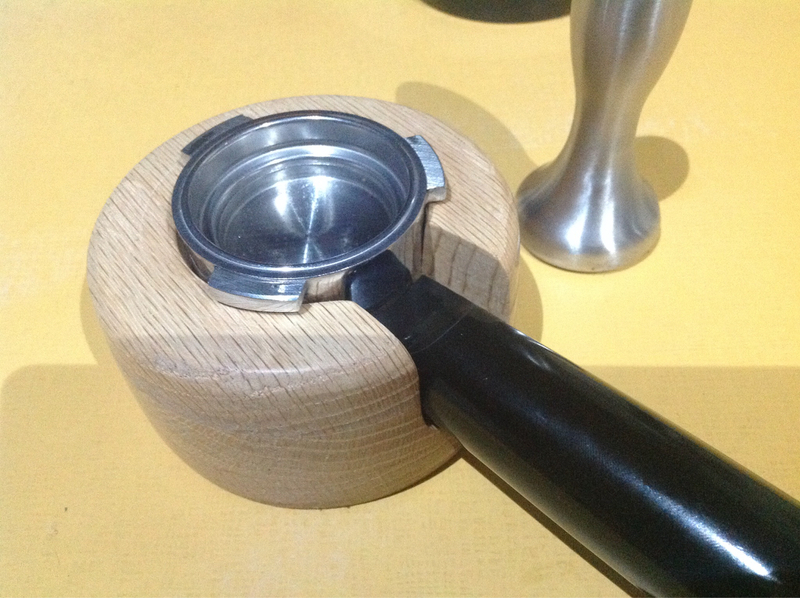 for steam, or does it enable an extra heater for the steam wand, not sure .. turn to steam and unlike the old sunbeam it does not start pumping straight away, takes maybe 10 seconds, so you don't get a squirt of hot water from the steam wand, just steam when its ready. Plus I use the single basket most of the time, so I am using a lot more than I ever did my old sunbeam. Also, its aldi, take it back if you don't like it, as I was walking out with mine somebody was bringing one back actually, kicking myself that I didnt ask him why. Found a tamper in my oak plank. mipl and LeroyC like this. Wow, Mothers Canuba wax ! How does that go on wood ? I've been wondering what sort of finish to put onto a raw Oregon table top I'm making. Carnauba wax is great on wood, waterproof and a fairly hard wax with a highish melting point. plus its totally food safe having been used as the wax on jelly beans in the old days, not sure about now. To get it soft enough on a cloth, just use elbow grease on a small patch and it warm that area and soften it enough, let it 'soak in' (hint, it doesnt really, just fills the grain) then buff it off. That tin will last me a life time including using it on cars, get the 'pure' wax though not the ones with fillers to soften them. Found another picture on my shed camera I forgot I took .. 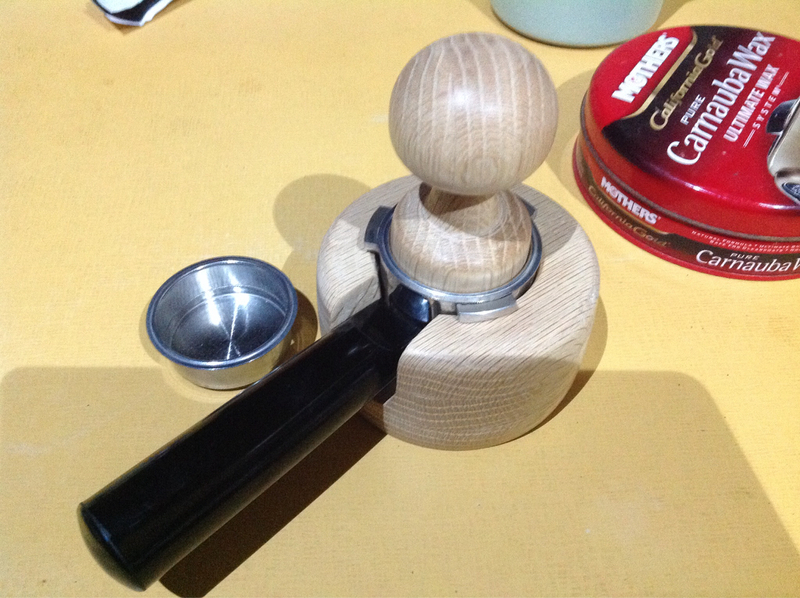 I am loving this tamper, far better than the slightly undersized commercial one I bought. I thought it would need a metal plate on the end but not been a problem.